Thinking of studying for a PhD? The department has an excellent PhD student environment with fully equipped labs for all your research needs. Each year there are opportunities for fully funded PhD scholarships at the Open University – although these are highly competitive. It is also possible to study part-time for a PhD. If you are interested in pursuing a PhD then please contact me to discuss your ideas. If you want additional work experience, or are considering doing a PhD, then you could also consider working as an intern for a period of several months. This could give you valuable experience in working on an exciting research project. Here are some potential topics that are indicative of my research interests. However if you have a different project in mind I am happy to discuss. The Internet of Things through tangible computing - focus on the graspability of objects for interaction. 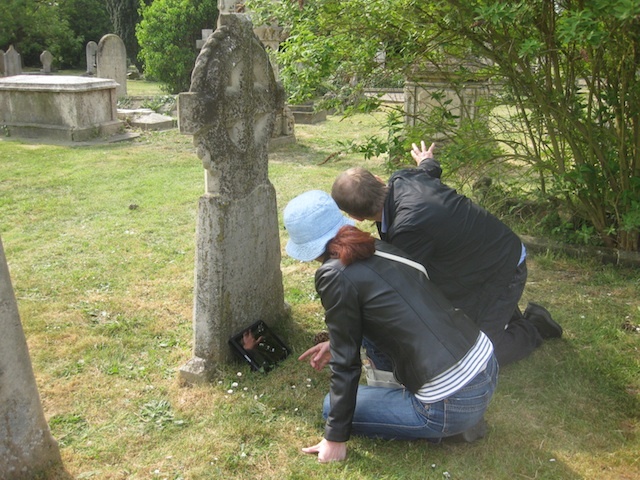 Exploring novel technologies for cultural experiences accessible to deaf or blind people. Pervasive healthcare - computing for happiness and wellbeing. 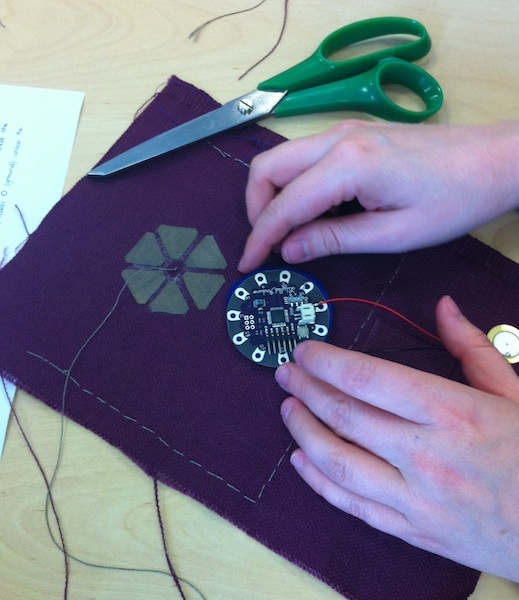 Exploring the use of eTextiles in everyday life. 2017 Matthew Barker Matthew is designing and investigating technologies that support mental well-being. 2015 Emilie Giles Emilie is investigating how tactile touch based technologies can be used by blind and visually impaired people in cultural environments. Her research approach is through maker workshops with participants as a way of engaging with such technologies and to imagine future technologies. 2014 Theodoros Georgiou Theo's topic for his PhD is "The Design and Evaluation of Wearable Wireless Haptic Systems for Improving the Lives of Those with Sensory or Motor Disabilities". His focus is on wearable devices to monitor gait and provide a haptic rhythmic cue to the person wearing it. 2013 Charlotte Robinson Charlotte is researching the area of animal computer interaction, with a focus on designing technologies that can support assistance dogs such as those supporting people with Diabetics. 2012 Jacky Bourgeois Jacky successfully defended his thesis Interactive Demand shifting in the context of Domestic Micro-generation. This focuses on energy management and energy user behaviour in the residential context. In particular, on reducing the energy gap through energy demand shifting and local energy generation feedback. 2009 Rose Johnson Rose successfully defended her thesis on technologies that can support musicians. 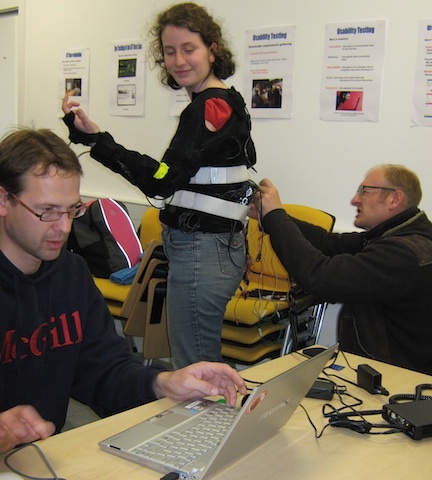 In particular she has been developing a number of wearable teaching aids for violin players which senses the student's movements and then gives them feedback while they are playing. 2009 - 2013 Laura Plonka January 2013 Laura successfully defended her thesis into agile software development, using qualitative research methods to closely investigate pair programming sessions in industrial settings.